New Zealand Prime Minister Jacinda Ardern. Source photo by Hagen Hopkins/Getty Images. Has the world ever needed a leader as much as we’ve needed Jacinda Ardern over the past week? The news cycle, and the psychic toll of the headlines that have been flying at us through the month of March, has felt extra grim. Things were bad enough by March 14: Our federal government was imploding, our Prime Minister – elected on a promise to bring “sunny ways” to a cynical Parliament Hill – mired in a scandal that suggests he may be as self-serving and calculating as anyone who came before him. South of the border, President Donald Trump was slamming British Prime Minister Theresa May for “how badly” Brexit talks were going, while he stonewalled Congress with his determination to build a border wall. On the other side of the ocean, a plane had fallen out of the sky, leaving 157 people dead, and government officials here seemed more interested in protecting Boeing’s interests than our own safety. And then a man entered a mosque in New Zealand and started shooting, and our world became even darker. I’m Carol Toller, deputy head of editing at The Globe and Mail, and I’ve been haunted by what happened in New Zealand last week and how we’ve responded to it. 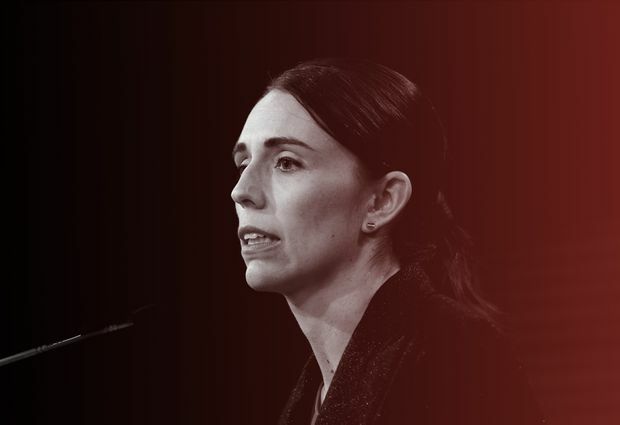 Nothing can change what happened during those terrifying moments in Christchurch, but if there’s one positive outcome amid all that hideousness, it’s Ardern’s ascension to the global stage. We’d met her before – she’d gained international attention for taking a six-week maternity leave not long after she was sworn in as Prime Minister in 2017. The decision was a clear indication that Ardern was a different sort of politician, someone with a fresh approach to leadership who refused to be defined by old-school conventions. And that fresh, deeply principled approach was on full display over the past week, as Ardern redefined what it means to be a leader in toxic, deeply disillusioned times. While other politicians used the horrific event to stoke Islamophobia and anti-immigrant sentiment, she mustered unfathomable grace and eloquence and reassured a rattled country with unwavering inclusiveness. "Many of those who will have been directly affected by this shooting may be migrants to New Zealand, they may even be refugees here. They have chosen to make New Zealand their home, and it is their home. They are us. The person who has perpetuated this violence against us is not. They have no place in New Zealand,” she said. As media outlets and social network posts highlighted the killer’s name, she struck a bold new path and refused to utter it. When President Trump called after the massacre and asked what the United States could do, she gave an answer that was profound and provocative, given that the man she was speaking to trades in rancour, hostility and unabashed divisiveness. “Sympathy and love for all Muslim communities,” Ardern replied. And then she did something that other politicians talk about, but somehow never manage to do: she tightened her country’s restrictions on military-style assault weapons. We like to believe that politicians govern with integrity and are motivated to serve in public office by interests that transcend partisan politics. Here in Canada, many of us voted for Trudeau because of his apparent commitment to doing politics differently, just as many French voters supported Emmanuel Macron. As their stars have fallen, so too have our hopes that one day we’ll get the leaders we want, and desperately need. Which is why Ardern’s moment in the global spotlight has felt so satisfying, and so absolutely necessary. Does she govern differently because she’s a woman? It’s hard to say, though research does suggest that female government leaders don’t approach politics in the same way that men do. One significant difference: they tend to be more collaborative and less partisan. Anyone who has followed the recent resignations of Jody Wilson-Raybould and Jane Philpott from the current Liberal government can see that pro forma partisan loyalty isn’t as important to them as upholding personal principles and maintaining integrity. Politics with “a bit of heart” is how Ardern describes her approach to public office, and as she donned a head scarf and hugged shattered members of New Zealand’s Muslim community, we all felt it. Somehow it feels auspicious to me that she entered our lives just days after Hollywood brought us Captain Marvel, Marvel Studio’s first female-led superhero film. We’ve got Jacinda Ardern on the global stage now, standing tall and clinging fiercely to the human values that other politicians have been casually jettisoning. Maybe there’s hope for us after all.